There are bistro springing out all over the places. There is this place at Pasir Ris Park that I passed by so often during my runs but never went in. Finally, one evening we decided to go there for dinner. The place got 2 names. 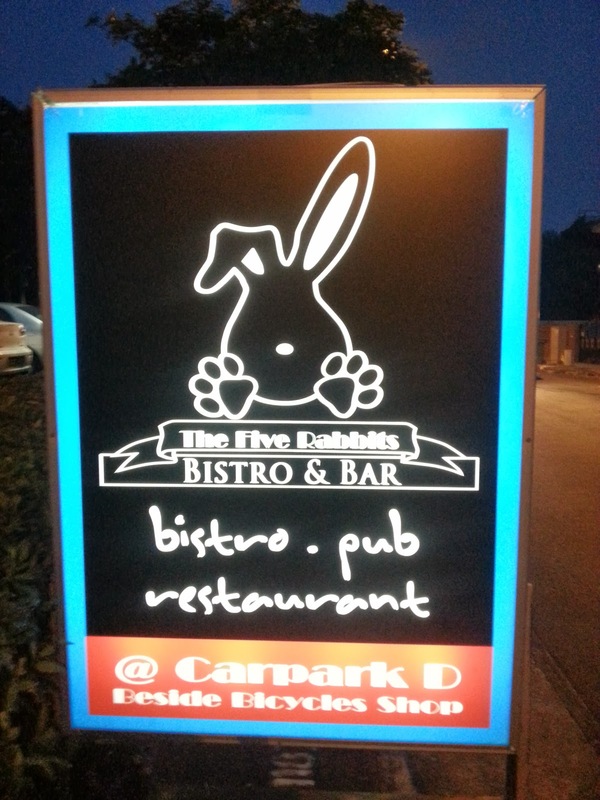 Its either the Five Rabbits or the Five Drunken Rabbits. 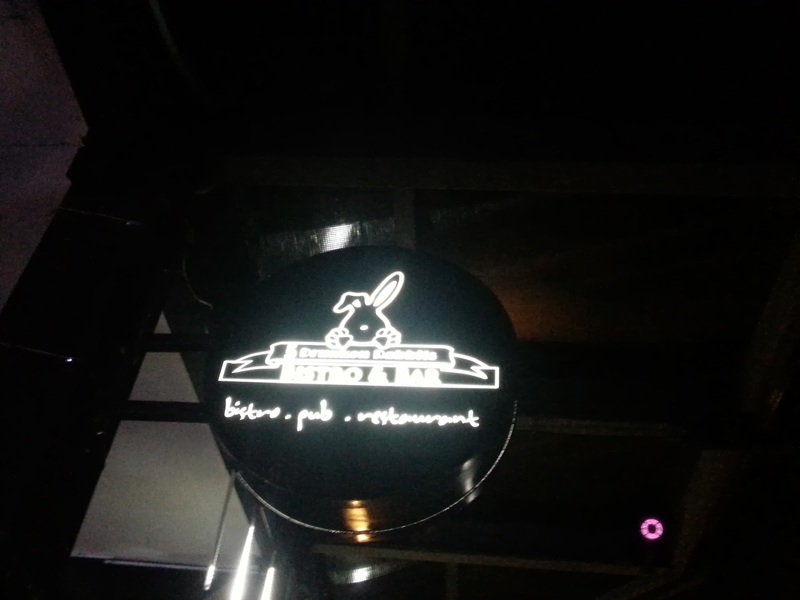 Like all bistro, it serves a mixture of western food such as steak, pizza, sandwiches and pasta. Of course it is also a watering hole for those who craves a drink. And like all bistro, the food is so so with not so so price. We were there in the night. The place was rather dim and therefore no photos of the food. Worth a go for the ambience and to impress the date with a night out but definitely not worth if good food is what one is looking for.